Summertime is whisky time! To be honest all seasons equal whisky time but that does not make me previous statement inaccurate. We would like to recommend four classic whiskies that you can easily find wherever you may find yourself this summer vacation. Scottish Islay whiskies are very special in their aroma and taste. Comparing them to other single malts would be like comparing apples with pears. Laphroaig, pronounced “La-froyg”, is a Gaelic word meaning “the beautiful hollow by the broad bay”. For the Laphroaig 10 year, the malted barley is dried over a peat fire. 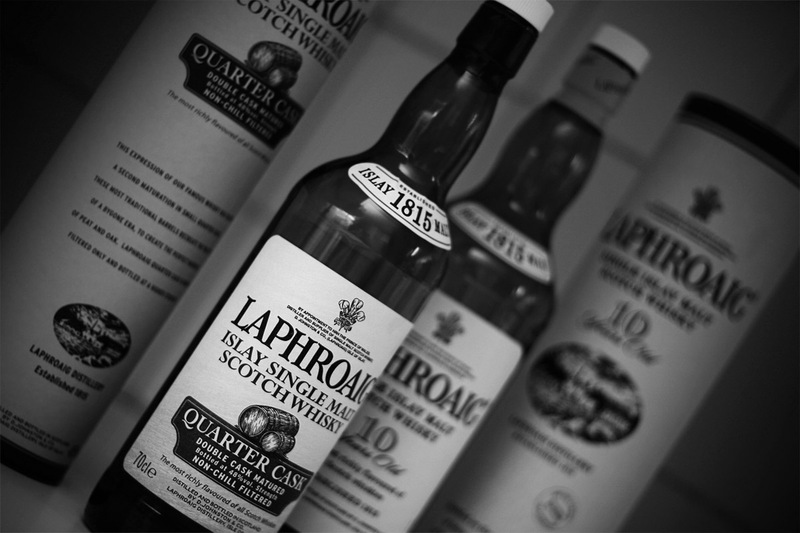 Laphroaig only uses peat found on the island of Islay. A dram of Laphroaig haa a very heavy smell of smoke, tar, rubber, and phenolic oils, it is absolutely overwhelming. But don’t think that the whisky tastes like it smells. On the palate, the most chemical or medicinal aromas vanish and give way to a full-bodied smokiness that partially suppresses the sweet notes in the mouth. The peat lingers on for a long time. This whisky needs some time for tasting. The first impression is a little bit harsh, but give it time an sip it slowly. 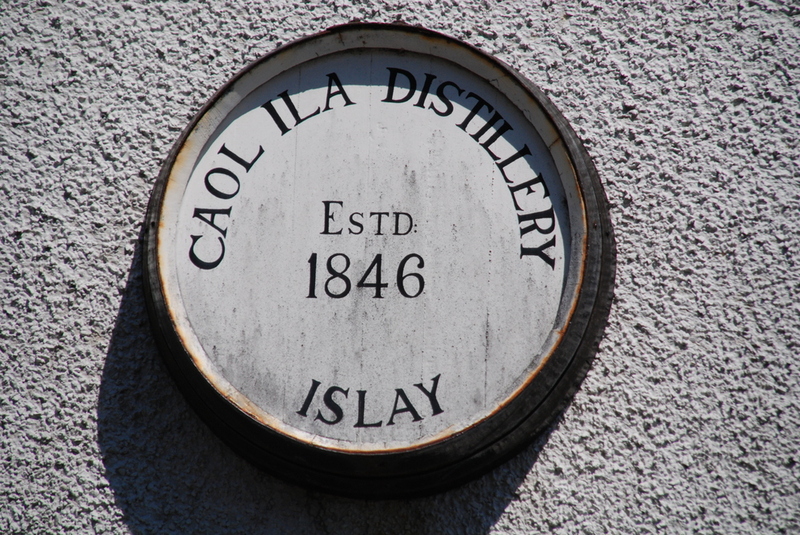 Caol Ila is a comparatively light-bodied and delicate Islay single malt. This is a very satisfying, well-balanced malt. It offers more rounded flavors than the Laphroaig discussed above which is otherwise similar. The nose has aromas of citrus and almonds. On the palate, the peat influence adds a sweet element on the palate. This whisky opens nicely with the addition of a few drops of water. Further the nose has an attack of heavy peat, but without the medicinal, seaweedy quality of Laphroaig. You could even call it a BBQ. The Palate is not as peaty as it smells. It has very earthy, rich notes of dark soil and maybe even smoked meats. A bit later an undertone of sweet fruitiness, exotic dark fruits, and sweet licorice is revealed. The whisky is medium bodied but coats the tongue. Jameson 12 year old Special Reserve is the favourite whiskey of Dr Barry Walsh, the master blender at Midleton Distillery for many years. This whisky is Very sweet, gentle and beautifully balanced. In other words it is something completely different than Islay malts. At least 30% of the casks used in the manufacture of this whisky are oloroso sherry, and at least 75% of the blend is made up of pot still whiskey. 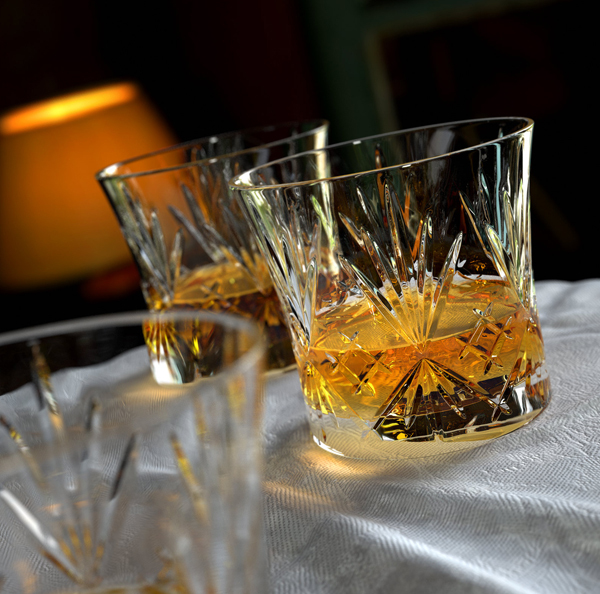 The youngest whiskeys are 12 years old but it contains whiskeys at least 20 years old. The nose is sweet and oaky, moderately intense and has some notes of honey, caramel and perhaps maple. Flavour wise the sherry melts into finger licking good milk chocolate. The flavours are very pleasant and work well together. This is much more refined than the basic Jameson, and in my judgment a very sippable blended whiskey. 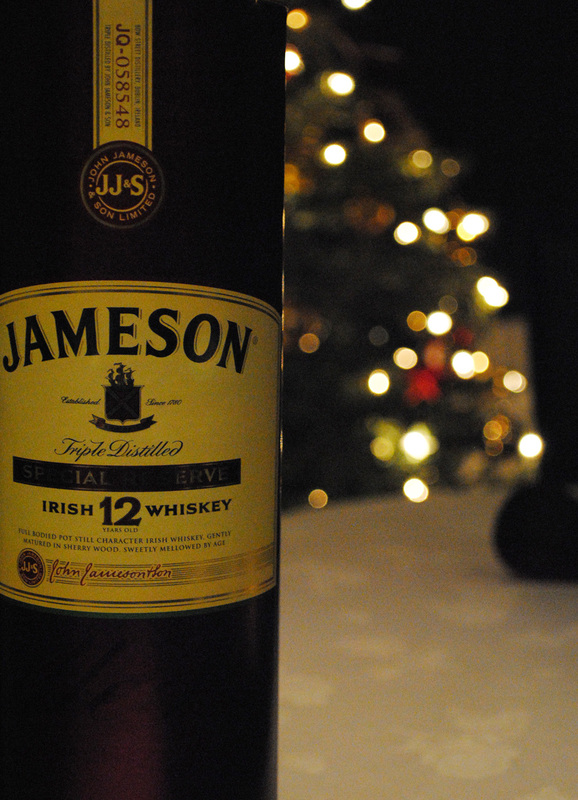 Jameson 12 year old is simply a beautiful whiskey. The Nadurra is the the most powerful in the Glenlivet family. Gaelic for ‘natural’, ‘Nadurra’ is a non-chill-filtered cask strength whisky that somehow still manages to carry the delicacy of the Speyside charm in its monstrous hands. The nose has notes of caramel and pineapple comes through too. It takes some adjustment to get those smells, but once you get past the whiff of alcohol you can smell them pretty easily. The palate delivers that sweetness with a blast of heat. Those toffee notes literally coats the tongue and you feel hints of chocolate and ginger along for the ride. It also has quite a lot of smoky notes and can benefit from some watering.